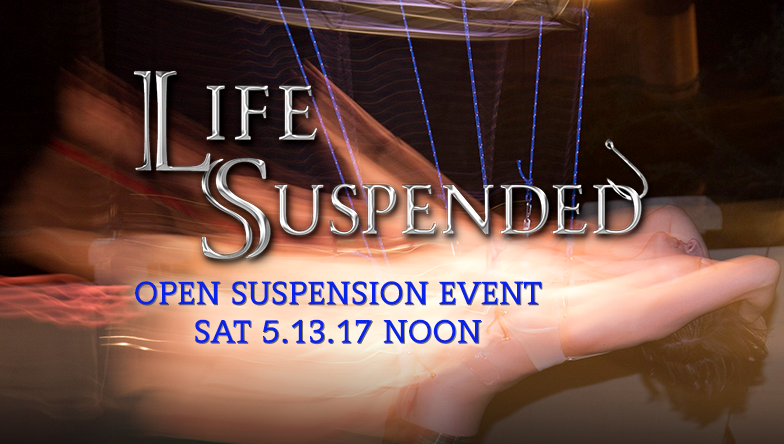 Life Suspended is excited to announce our next suspension event! We’ll be holding our next full day suspension party on May 13th, with the first suspensions starting at noon and going all day long. We will be taking a $50 deposit to secure your spot to suspend. The full cost to suspend is $120, and we will be using Gilson hooks only. The hooks used for the suspension are not for sale. General admission is $5. Come hang with us! We are asking everyone to park vehicles in a nearby commercial parking lot, which is a short walk to/from the party. The address for the party (as well as parking guidelines) will be updated on the Facebook event page 24 hours before the party starts.